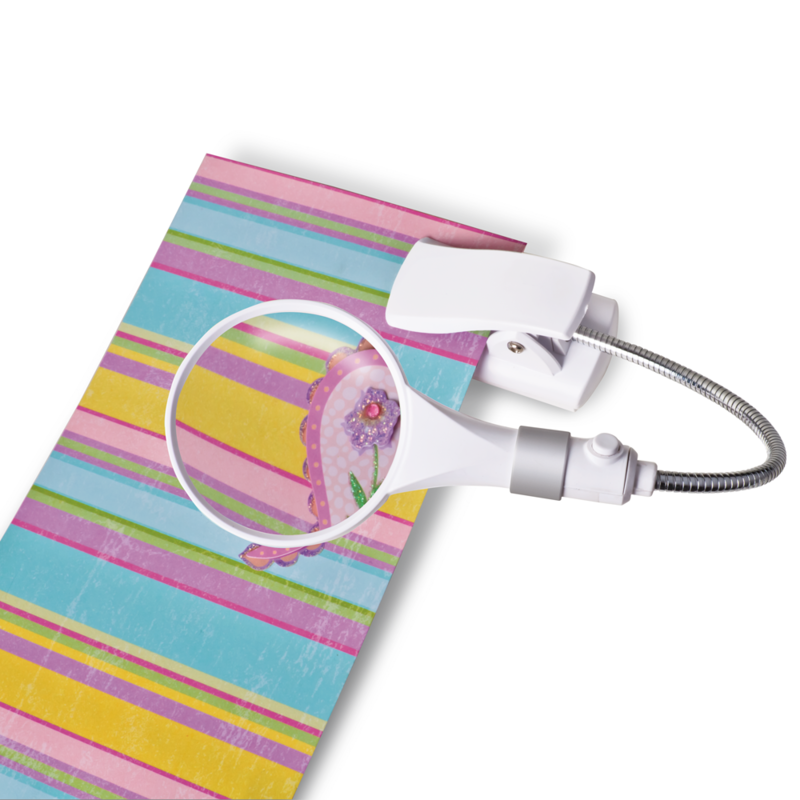 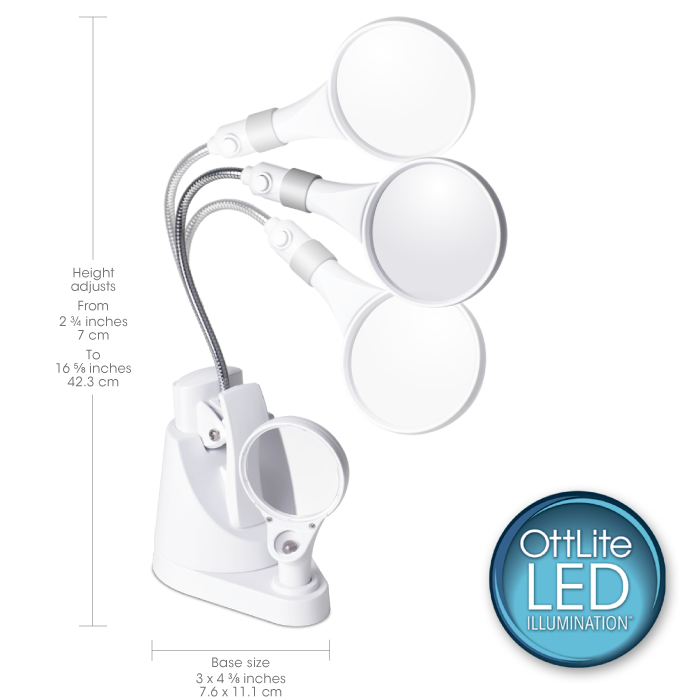 Complete projects that require fine detailing and intricate work using the Ottlite Clip and Freestanding Dual Magnifier. 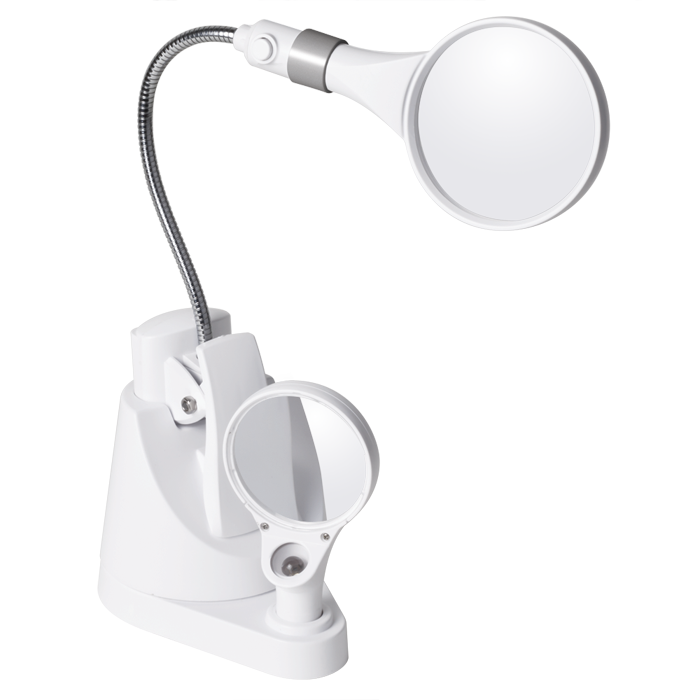 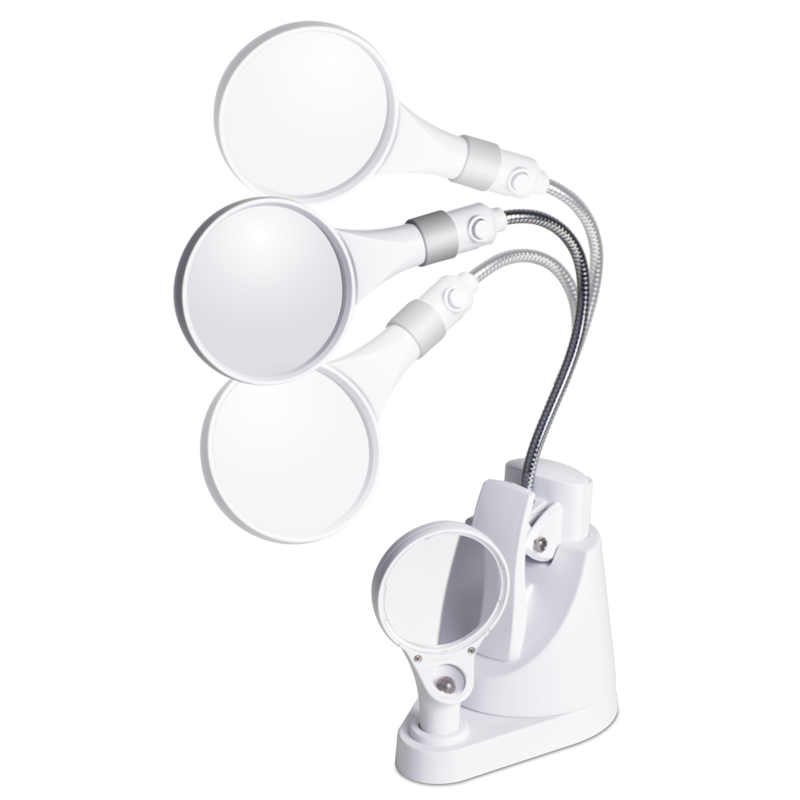 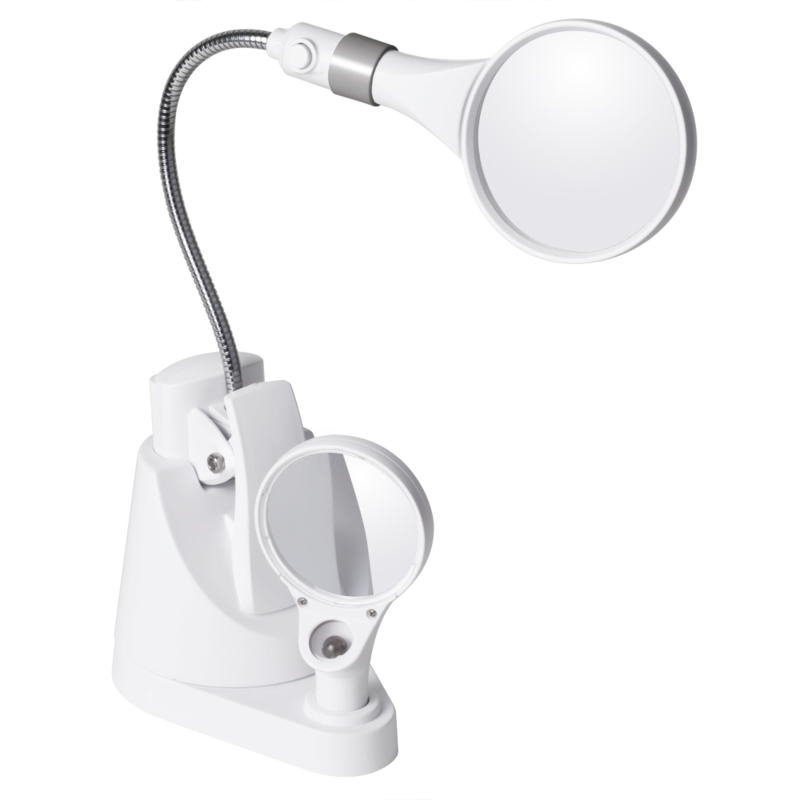 This magnifying lamp comes with magnifiers equipped with brilliant Ottlite LED illumination. 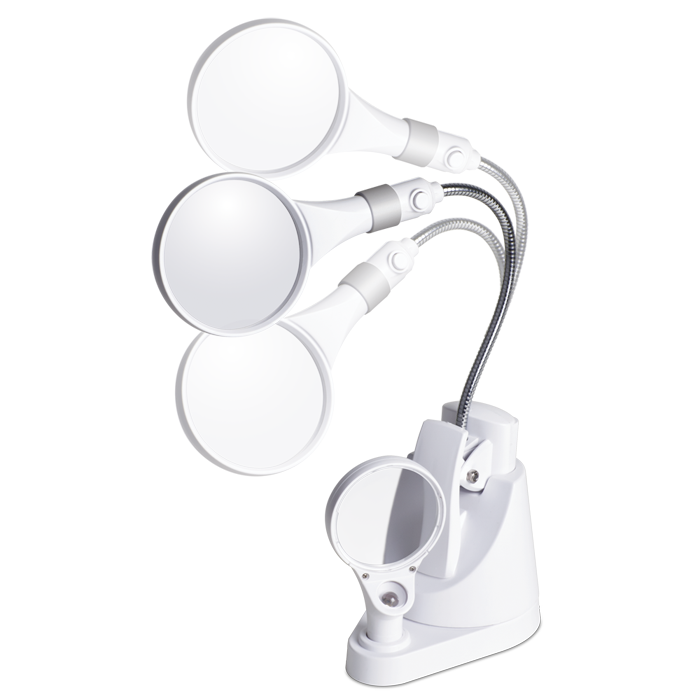 With its adjustable gooseneck stem and swivel base, you can position this compact lamp in any convenient way. You can also use this portable lamp as a clip magnifier -- great for needlework.